I'm back into weight concious mode and mood. Yup! Joined gym and have been working out for a couple of days now. Happiness is showing up as few extra pounds on my body :P Trying hard to trim it off. Does that mean I would stop baking or indulging on filthy rich food!! NEVER. Just that I would keep an eye on the quantity of intake. For example making a large cake and resisting to cut out a small piece for myself is hard for me, rather I would choose to bake cup cakes or muffins and stop with just one a day :) It makes life simple!! Sieve all purpose flour, cooking soda and powderd sugar together into a bowl. Add milk, cooking oil and vanilla essence and whisk to bring together. The cake batter should be lumpless and in dropping consistency. Bring the cooking chocolate to room temperature and shave it using grater. 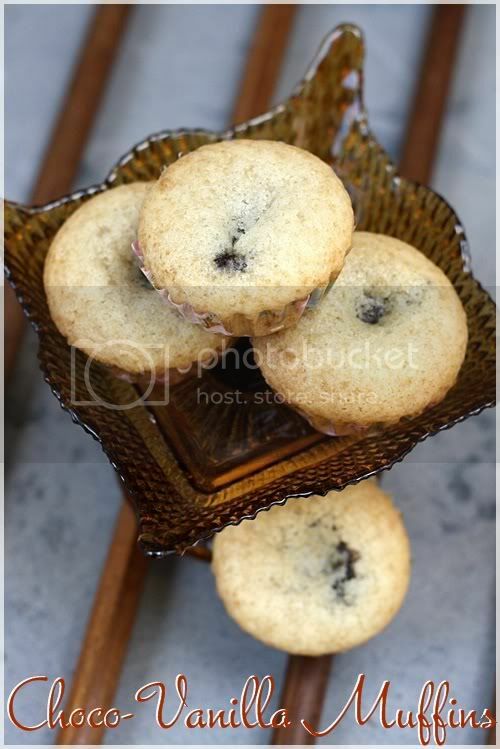 Fill muffin cups with cake batter upto 1/2 the height and now carefully place a spoon of chocolate shavings on top of the batter, just covering the center and not the sides. Now drop in few spoons of cake batter on top to cover the chocolate layer. 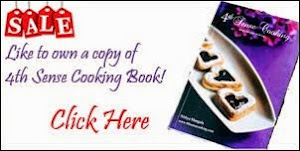 Bake it for 12 to 15 mins at 375°F or 190°C. Mine was done in 15 mins. Use cooking chocolate for the filling. This chocolate melts well when the cake is warm and gives a gooey center. You should not worry Nits. You are supposed to gain weight girl. That is the norm. Anyways spotted muffins look superb. I see that you have used oil instead of butter. Lovely. The cupcakes looks tempting & gooey centres are always a nice surprise!! 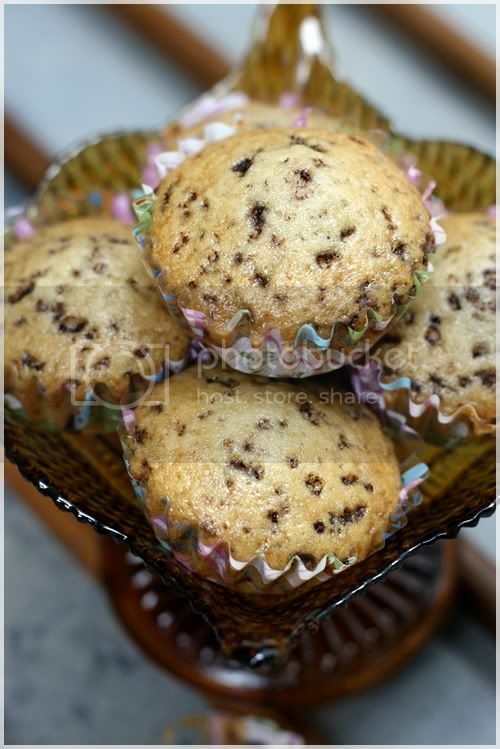 Happy New Year Nithi,love this yummy muffins...luks delicious. They look yum,,,perfect click too,l. All the muffins look delicious. I wish I had seen this post earlier I had bake some cakes for the kids picnic. This would have been lovely. Dats a great recipe hon!! Hope you are enjoying married life .. Muffins look pretty! Yummy Muffins !! !Anything with chocolate will have a warm welcome !! 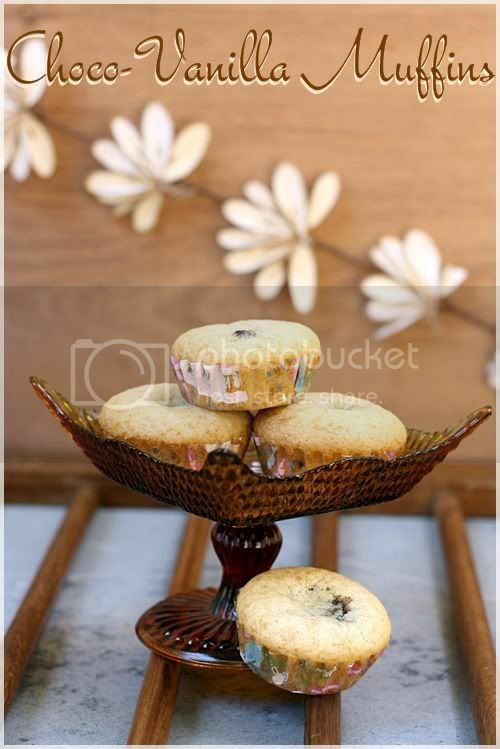 Muffins look simply outstanding and delicious. Well done, super tempting muffins..excellent bake Nithya. It is a normal sign and you are supposed to gain weight. :-) BTW, Mussinfs loos gorgeous with the chocolate centered in it. wow...muffins looks so soft n delicious...loved it!! Cute gooey cupcakes, i am craving for one. Looks delicious n nice idea!! 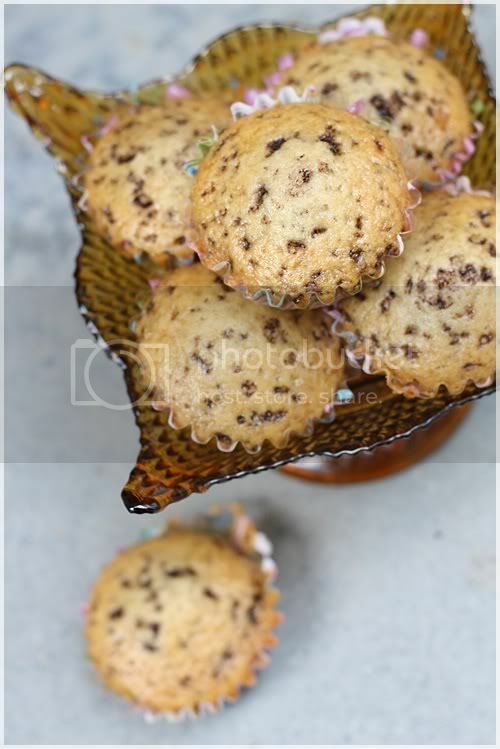 yummy muffins...looks great and fabulous... beautiful clicks. They look fab and loved that stand of yours. 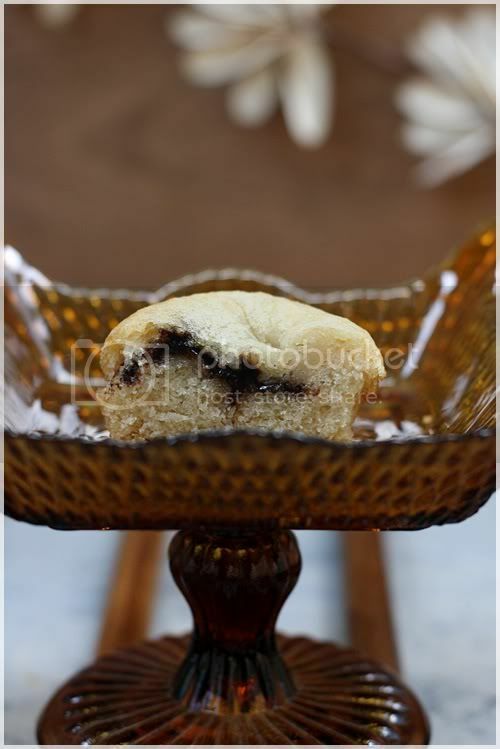 Hi Nithya how are you?muffins looks so soft and inviting. 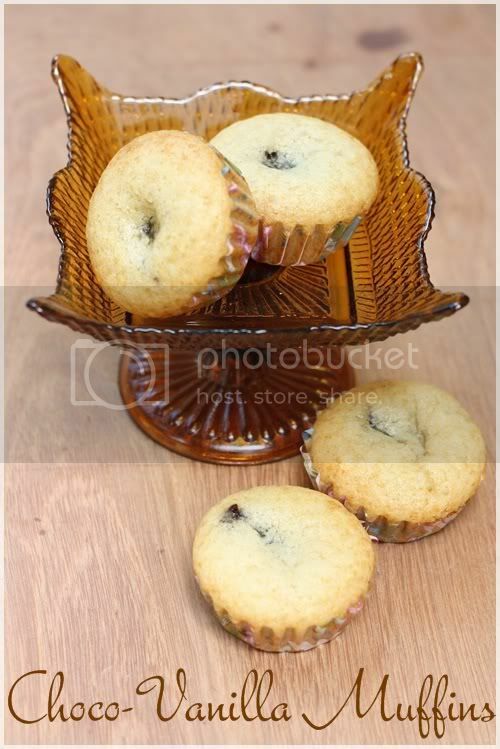 Nithya, the muffins are sinful! I'm definitely trying these at home!